At AC Dental of Langhorne, we are the premier dental services provider for the residents of Levittown, Langhorne, Fairless Hills and their surrounding communities. Our staff works together using the highest standards of dentistry and patient services to restore and enhance the natural beauty of your smile. When it comes to dental fillings, we are prepared to provide each patient with a positive, comfortable and relaxing experience while doing what we do best: dentistry! What are Fillings and How Does the Procedure Work? What a filling essentially does is close spaces in the damaged tooth where invasive bacteria can enter, making your teeth more resistant to decay. By providing safe and convenient solutions for tooth decay, AC Dental of Langhorne can use fillings to restore damaged teeth to their normal shape and function. When you come into our office for a filling, the dentist will first remove any decayed tooth material before cleaning the entire affected area of the tooth. 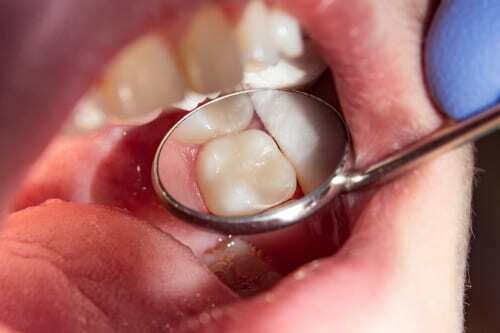 Once the affected area is completely clean, the cavity is then filled with a filling material. Your dentist will then ensure the filling is secure and set, so you can get back to chewing without pain, sensitivity or risk of further decay. The materials used by our dentists vary in price, physical resistance and hardness, but all modern filling methods and materials employed at AC Dental of Langhorne are deemed safe and effective. AC Dental of Langhorne employs the following materials as options for your next dental filling. These options should be discussed with your dentist to find the best material for you. Gold – Gold fillings have long been considered the best filling material and for good reason. Gold inlays are easily tolerated by gum tissues, allowing them to last for 20 years or more. It is often the more expensive choice, however. Fortunately, technology has come a long way in developing new materials that are both inexpensive and highly durable. Amalgam (Silver Alloy) – A more affordable option compared to gold, silver fillings are resistant to wear and last for many years. Their coloring is more noticeable than porcelain or composite materials, so we typically avoid using amalgam in more visible areas, such as front teeth. Composite (Plastic) – Composite resins are excellent for natural color matching, making them a common first choice for more visible teeth. They are ideal for smaller fillings due to their hardness in relation to gold or silver, and because they are more susceptible to stains from coffee, tea or tobacco. Expect composite fillings to last from three to 10 years. Their cost is similar to gold. Visit AC Dental in Langhorne Today! With this information available, you can have a more informed discussion with your dentist about your particular needs and goals after the procedure is completed. If you live in Langhorne, Levittown, Fairless Hills or any of the surrounding communities, contact us today to learn why AC Dental of Langhorne is the go-to provider for all of your dental filling needs.